Product prices and availability are accurate as of 2019-04-09 11:51:33 UTC and are subject to change. Any price and availability information displayed on http://www.amazon.com/ at the time of purchase will apply to the purchase of this product. 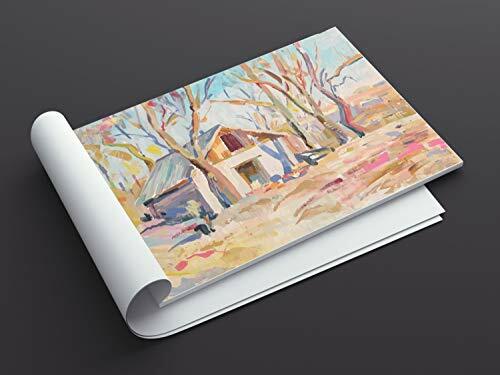 Our Acrylic Pad was created by artists for artists and therefore you can be assured that you are getting the best of the best paper pads on the market. Each page measures 9x12 in (20.5x29cm), ensuring you the perfect surface for all your art techniques. Each acid-free and recycled page of this Acrylic Paper Pad is tested and approved by artists for their performance reliability. Affirming your artwork to never bleed, smudge, fade or dim over time, ranking this product superior to others. Artists and Beginners, Students, Kids and Teens – no matter your artistic level, you’ll love the Bellofy Painting Paper Pad! 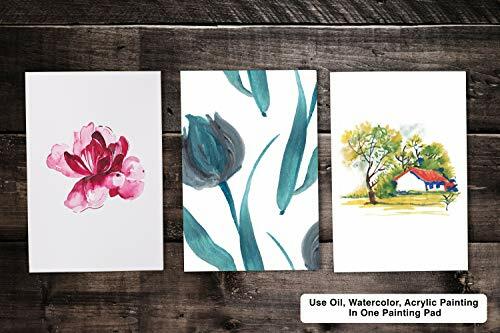 We have developed this Acrylic Paint Paper Pad to work for all artist enthusiasts, watercolor artists and recreationalists for all watercolor paint, acrylic and oil, virtually satisfying every artistic need. Let your imagination come to life and discover your talents! We guarantee for the high quality of our products, just add it to your cart and select your preferred shipment method. 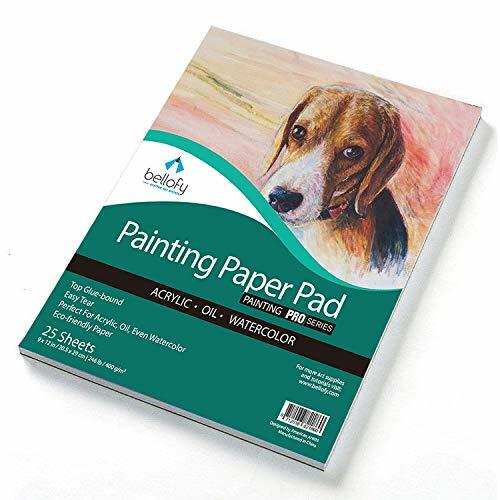 HIGH QUALITY PAINTING PAPER - Created by artists for artists, Bellofy Acrylic Paint Pad will provide everything you need and more for your future artwork! 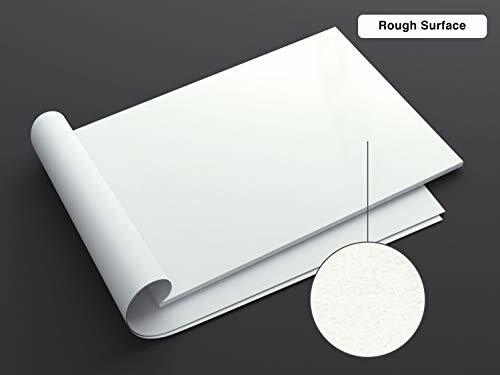 25 sheets of bleedproof, rough finish, heavyweight paper will satisfy any artistic needs! VERSATILITY - Acrylics, oil paints or watercolors? You may choose any of them when painting on the Bellofy cold pressed acrylic paper. 246 lB / 400 GSM, each page measures 9 x 12 inches (20.5x 29 cm) ensuring the perfect surface for all your art needs! SUITABILITY - No matter your artistic level, we guarantee you'll fall in love with this painting pad! Beginners, artists, kids and teens, they all tried and loved the Bellofy Paper Painting Pad. ECO-FRIENDLY & DURABLE - We only use acid-free and pH neutral paper, approved by artists to never bleed, smudge, fade or dim over time. 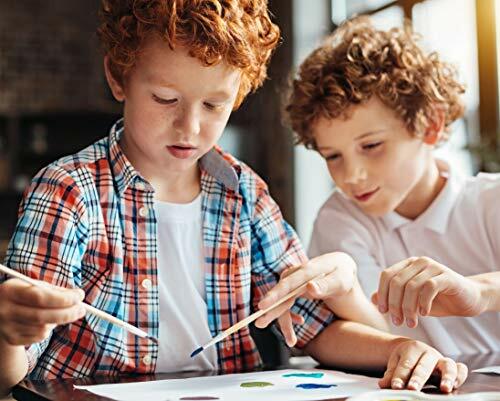 Bellofy acrylic paint paper is also recyclable, environmentally friendly and 100% safe for children. SATISFACTION GUARANTEED - Or Your Money Back. Your HAPPINESS comes FIRST so we set out to create the best art supplies and customers say we've achieved it. 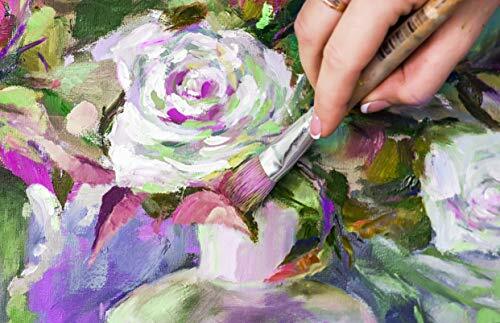 You can feel confident adding this Painting Pad to your cart today. We guarantee you'll love it, but just in case you won't, we'll refund your money 100% - no questions asked!